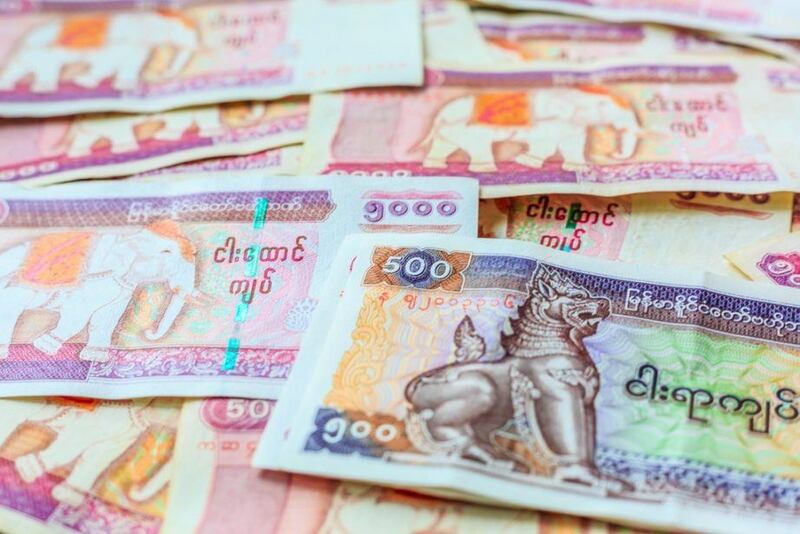 The Burmese kyat has been replaced and reintroduced many times over its long history, but today the currency is as strong as ever, boosted by the country’s economic revitalisation. Want to learn more about Myanmar? The first kyat circulated in Burma between 1852 and 1889. The Royal Mint was established in Mandalay by Mindon, the second last king of Burma. Silver coins in denominations of 1 pe, 1 mu (2pe), 1 mat (4pe), 5 mus (10pe), and 1 kyat, and gold coins were minted in denominations of 1 pe and 1 mu. Britain eventually took over Burma and circulated the Indian rupee. When the Japanese took control of the country they used a new currency based on the rupee, before reintroducing the kyat – this time divided into 100 subunits. After Britain liberated Burma they reintroduced the Indian rupee which remained in place after Burmese independence before being replaced in 1952 at par with the Indian rupee. The obverse side of the first coins were stamped with the Royal Peacock Seal, and the reverse displayed the date and denomination. Towards the end of the first kyat, in the 1860s and 1870s, lead ⅛ and ¼ pya coins were minted, along with ½ pe and 2 pya coins minted in copper, brass, tin, and iron. Gold 1 pe, 2 ½ mu, and 1 kyat coins were minted between 1866, followed by gold 5 mu coins in 1878. The second minting in 1956 introduced a completely new style and new materials, trading gold and silver for bronze, zinc, copper, and copper-nickel. The current Burmese kyat coins in circulation were minted in 1991 and 1999. Notes were not issued until the second kyat was introduced, but these notes were soon replaced and a second set released in 1952. The Peoples Bank of Burma began producing notes in 1965 before it was replaced by the union of Burma Bank in 1972. In 1989 another set was released, but the existing notes were allowed to remain in circulation until they naturally fell out of use. The current series was released throughout the 1990’s and 2000s. Between 2001 and 2012 the MMK’s official rate was between MKK2.75 and MKK6.70 per USD1, the black market rate however was closer to between MKK7.50 and MKK13.35 per USD1. The black market rate would typically decrease (i.e. the MKK would grow stronger) during the tourist season. 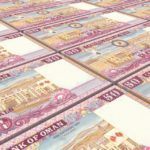 Until 2013 visitors were also required to buy a minimum of $200 worth of Foreign Exchange Certificates to prevent black market currency exchange. 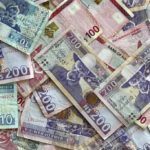 In April of 2012 the Central Bank of Myanmar announced that the kyat would float freely against the USD with a starting rate of MKK8.18 per USD1. Myanmar is an emerging economy. After independence the government sought to create a welfare state through a nationalisation policy. By the 1950s however rice exports dropped by about 66% and mineral exports by over 95%. A coup in 1962 brought the “Burmese Way to Socialism” which resulted in Burma becoming one of the poorest countries in the world. The 1988 coup resulted in slight liberalisation, but by 2009 it remained the least free economy in Asia (a dubious honour also held by North Korea) and the most corrupt in the world (tied with Somalia). Between 2005 and 2007 the country was wracked by inflation averaging over 30%. Since 2011 Myanmar has undergone a period of economic liberalisation. Policy reforms and anti-corruption efforts helped increase foreign investments from $300 million in 2009 to $20 billion in 2010 – and increase of almost 7000%. This helped strengthen the kyat by about 25%. If Myanmar continues along the path of economic liberalisation and reduced corruption, and invests in high-tech industries their economy is expected to quadruple by 2030. There are many challenges, like an estimated 37% unemployment and over a quarter of the country living in poverty, but Myanmar can look forward to a bright future. 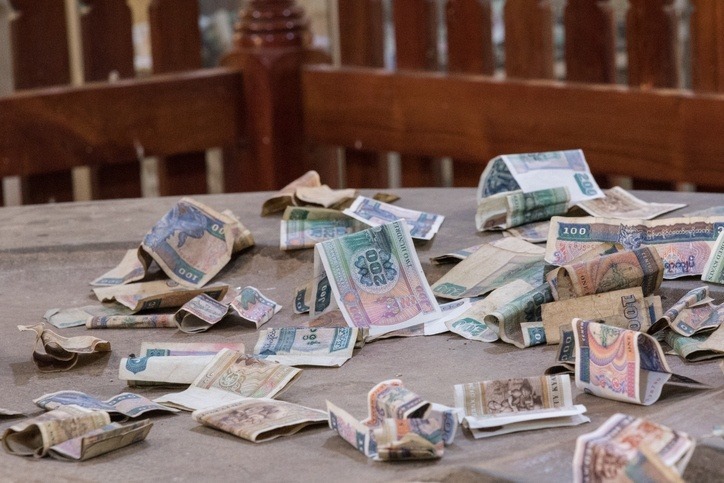 Myanmar still faces many challenges but the country’s economy has a promising future, as does the kyat which has already benefited greatly from economic liberalisation. Keep exploring Myanmar with our Country Profile and Travel Guide.